A sweet treat that everyone loves is Caramel Apples. These are awesome. I know we love any kind of apples here and my girls always use the excuse that "They are Apples, they are healthy". I don't mind, As long as I get to check to make sure they are okay first :) Aron calls it "Paying the toll". In all reality apples are a great source of fiber, protein, and so many other vitamins. Some of the health benefits that come along with apples are a great for decreasing risk of diabetes, reduces cholesterol, heart healthy, gallstone preventative, great for aiding in weight control, detoxifying your liver, prevents cataracts, and makes your buds turn into Taste Bro's, we all want that!! These are a great gift for your loved ones, friends, co-workers, bosses, everyone. 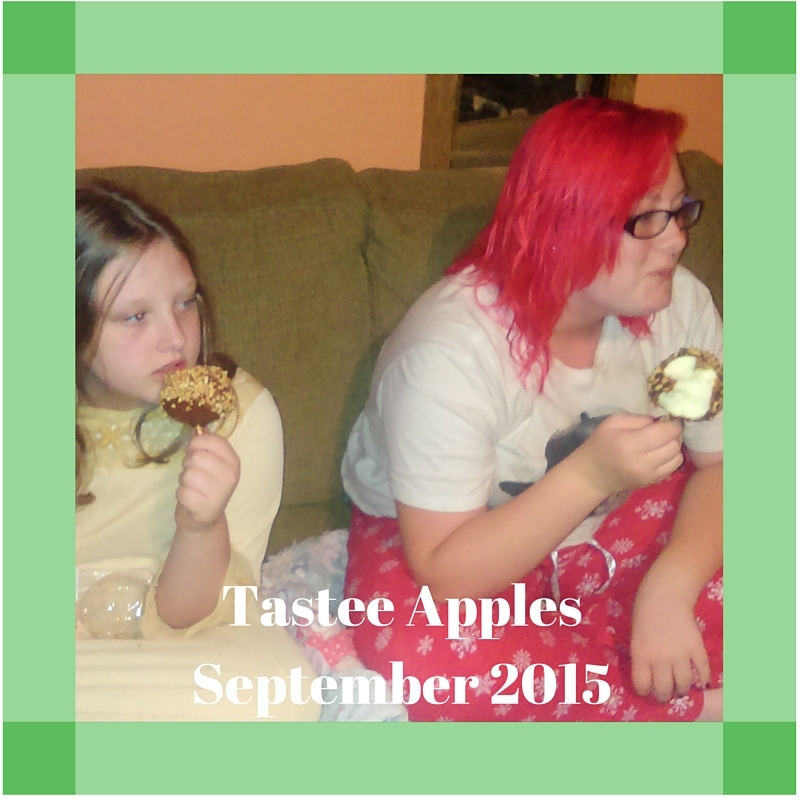 I have partnered up with Tastee Apple to review their Caramel and Chocolate Apples. I was so excited to do the review, I had to tell the girls before they got here. I usually wait because sometimes packages get lost, or anything, we always try to wait til the products to get here before we get too excited. Fall is our favorite time of year; the atmosphere, the coolness in the air, the harvest season of all that is good; we love it! 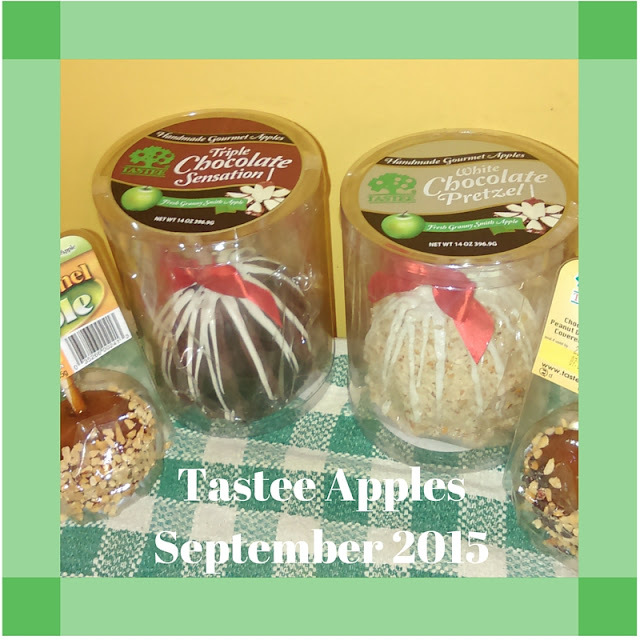 Traditionally, that's when candy apples are most popular;whether they are store bought, homemade, through the mail, etc. 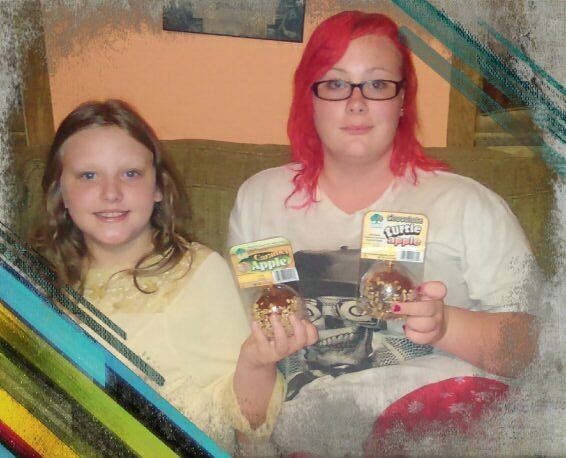 they are a favorite fall time treat for my family. I am so happy to be announcing that these will be a part of an awesome giveaway this fall. These are amazing to say the least. We had them with out family movie night. Thank you Tastee Apple!! If you have any questions about this product or would like to see your products here, please email us at [email protected],com.